The structure of "Your Honey Love" is a lot more conventional and again, the three musicians make a lot of music. The bass player is finally free to do some playing and uses the opportunity well, providing a fat sound to underpin the bluesy changes. The lead guitar is as strident as ever (where did this guy go? ), and Penner's voice is, once more, disarmingly gently. 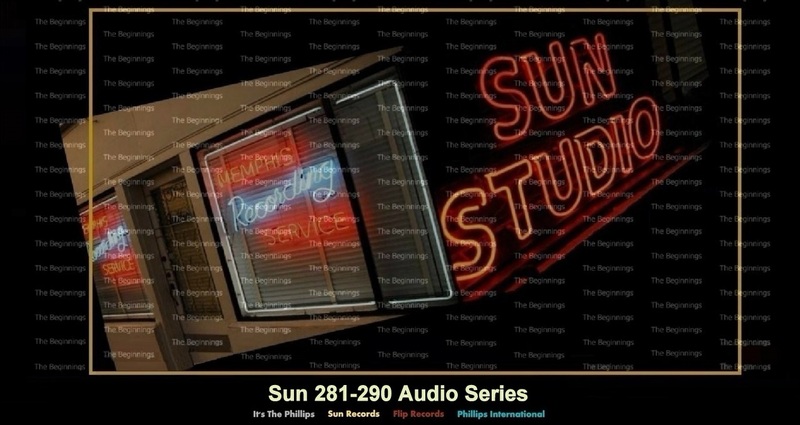 Sam Phillips invited one half of 'the College Kids' back to the studio in an attempt to work up some of the elusive magic he had heard during the session for SUN 269. In truth, Phillips succeeded, although the rewards were not financial, and spelled an end to Penner's association with Sun. This is not so much a cover, this was more a spirited revival of the Slim Harpo tune from six months earlier which had caught Warren Smith's ear over radio station WDIA in Memphis. Taken in a higher key and with a major hike in tempo, the arrangement was purposely detailed for teenage ears. For once all of the elements seemed to be in place for Warren to break through, except to say that most of Sun's promotional energies by late 1957 were totally geared towards the latest singles by Johnny Cash and Jerry Lee Lewis. Among the song that Warren Smith heard on the car radio was Slim Harpo's "I've Got Love If You Want It". In Harpo's hand it was a mellow mid paced blues, delivered in a laconic bayou country drawl to a pseudorhumba beat. In Smith's hand it became another celebration of joyous, primal rockabilly. Al Hopson and Roland Janes trated licks on the intro and the solo (Hopson taking the lead and Janes the response). Smith contributed a hugely confident vocal and made some minor lyrical changes in deference to prevailing mores: "Your fine brown frame" became "You fine looking thing", for example. Warren Smith omitted Harpo's final verses and substituted lines adapted from another Slim Harpo record, "I'm A King Bee". Coupled with a lovely ballad by Al Hopson, "I Fell In Love", there was no reason that the record should not have been a hit - except that it was issued in the same month as Jerry Lee Lewis' "Great Balls Of Fire". ''Glad All Over'' appeared on Carl's final Sun single (Sum 287) Drummer W.S. ''Fluke'' Holland thinks it might have been recorded in New York, but is not certain. However, Carl's bio suggest that the session was engineered by Jack Clement (at Sun). In the likely event the demo for the song came to Sun with the memorable drum hook already on it. W.S. would eve learned it right off that record. ''No doubt about it. I don a know why else I would have played that little drum thing right there'', observes W.S. He also agrees that learning the song and its arrangement straight off a demo might have reduced the session time it took for the band to record a final take, perhaps eliminating outtakes altogether. ''I don't know that we ever played it more than one''. Carl Perkins needed a hit record. The days of ''Blue Suede Shoes'' were plainly over and Sam, not to mention Carl, was willing to try just about anything to rekindle his success. ''Lend Me Your Comb'' qualifies as ''anything''. Think of it as The Everly Brothers meet Mickey & Sylvia. How could you miss with such a mixture? And this wasn't just any Everly Brothers song; the lyric is straight out of ''Wake Up Little Susie''. When you're hot, you're hot. Jerry Lee managed to follow his mega-hit "Great Balls Of Fire" with yet another blockbuster from the pen of Otis Blackwell. "Breathless" is another wild performance, complete with a heavy breathing hook that grabbed more than its share of disposablee teenage income. The song's structure is less than typical, and far from the blues and country music on which Jerry Lee cut his teeth. Although Jerry's piano plays a less central role here than ever before, the artist still manages to make this performance his own. Jerry's Louisiana pronunciation of "You know I 'doin' like a wood in flame" is a delight. Reached number 7 on the Billboard's Pop charts; at number 3 on the Billboard's Rhythm and Blues Charts, and number 4 on Billboard's Country and Western charts. "Baby Please Don't Go" is much successful. James M. Van Eaton opens it with an atmospheric shuffle augmented by Riley's girlfriend banging two drumsticks together. Riley plays the electric lead on a Bird land guitar and uses his raspy voice in marked contrast to the smoother 'A' side. Riley felt that the absence of Sam Phillips from the studio had a noticeable effect. "We weren't as comfortable in the studio with Jack at the controls. Sam was always coming around and listening. He was in there making you feel good. He'd say like 'OK man, that was great. Gimme more black in it'. Jack never been happy with a cut on anything he's ever done. Sam knew when the record was cut". The record that would supposedly fulfill Riley's promise was released in February 1958. By June it had sold a dismal 3210 copies. Riley's vocal and guitar work on "Baby Please Don't Go" was closer to expectations. There is a considerable tension to this record; it feels just on the verge of breaking free. Riley sings and plays with restraint, yet there is an unmistakable edge to his performance. Its a fine recording. Those expecting Billy Riley's vocal to be a repeat of "Red Hot" or "Flying Saucer Rock And Roll" were stunned by his style on "Wouldn't You Know". At the time, few fans realized how much of a chameleon Riley truly was. Even the instrumental sound of "Wouldn't You Know" was a departure. Everything from chord structure to tempo was a departure from typical Riley-Sun fare. Yet it all worked, highlighted by Martin Willis' highly melodic sax solo. By the time he came to Sun Records in 1957, Rudy Jiminez Grayzell had already made his mark in country and rockabilly circles, recording for Talent, Abbott, Starday, and Capitol. Despite this gimmeckry, "Judy" rolls along in an engaging groove, largely assisted by fine work from Roland Janes and Jimmy Wilson, on guitar and piano.